On Sunday night I posted some photos as part of 52 – A Portrait a Week. 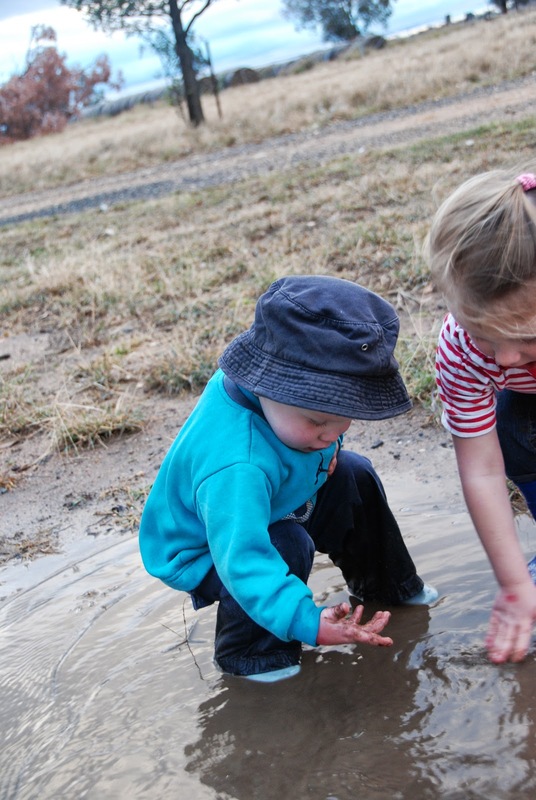 They were of my Muddy Kids frolicking in the puddles. 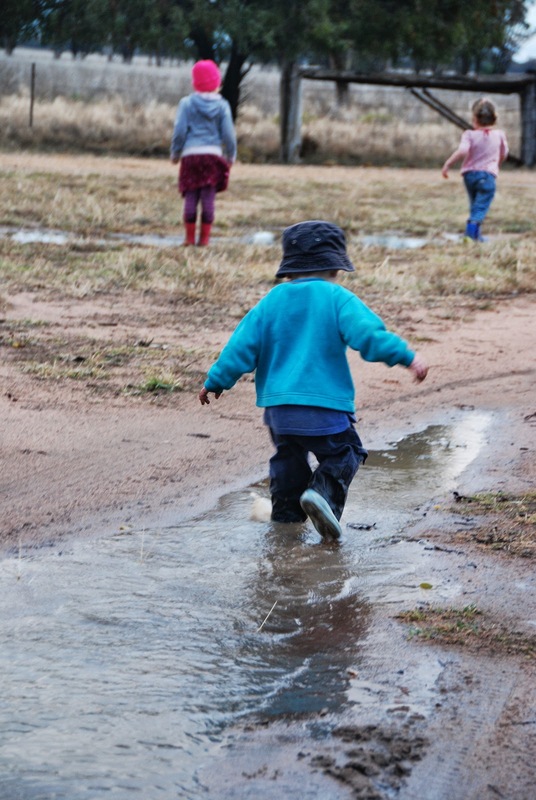 For those that live in places where it rains a lot, or it rains regularly it must sometimes seem mundane to wake up to rain, another day to play in the mud and try and get to and from home, work and school without getting wet. But for us on Sunday morning when we woke up and measured 23 precious millimetres the whole house’s mood lifted. We are in one of those areas ‘on the cusp of drought’ as the media like to put it. We have been feeding sheep – and still are despite the rain, as grass takes a little while to grow after the rain and the sheep gnaw it off faster than it can grow. We are going into our sowing later than usual. Muddy Hubby always likes to be sowing Canola about Anzac Day, this year we haven’t sown canola at all. But when it started really raining on Saturday night and kept raining it bought a little bit of hope back into the farm. Now we just wait for the paddocks to dry out a little bit, then we spray the weeds before we start to get the tractors fired up and sowing. 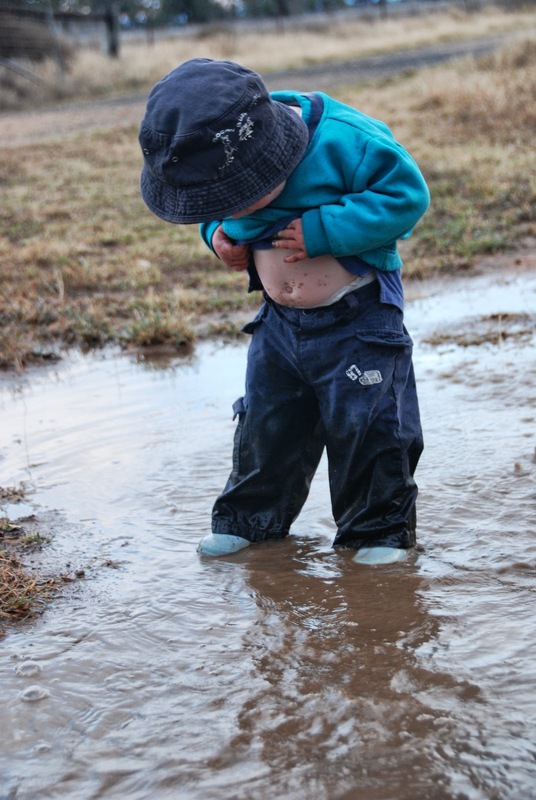 In the meantime though the Muddy Kids and I are enjoying the remaining puddles, weeding the garden beds while they’re still moist and just literally sitting and watching the grass grow for a change. 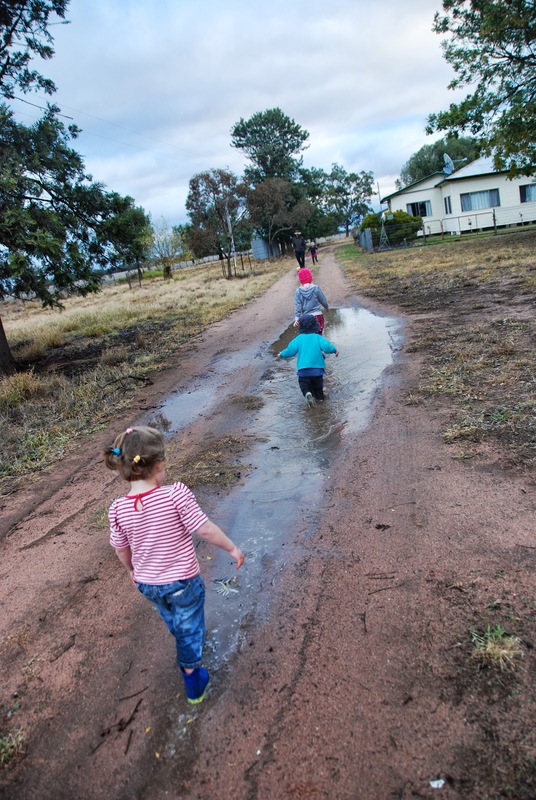 This entry was posted in Farm, Kids Play, Photos, Ramblings on June 4, 2013 by nat.